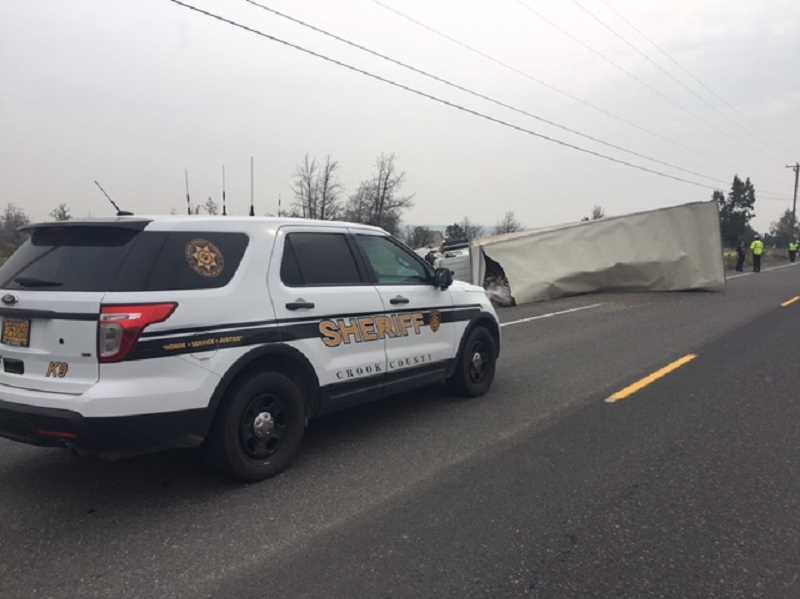 A semi-truck ran off the roadway and overturned near Minson Road on Highway 126 in Powell Butte Wednesday morning, causing traffic delays. Oregon State Police responded to the incident at 9:16 a.m. Aug. 15 near milepost 9.5. The driver, Dustin Charles Uriz, 32, of Redmond, was traveling westbound on Highway 126 when he ran off the roadway to the right, hit a private barbed wire fence and overturned on the driver side.The driver was injured. The semi-truck blocked the westbound lane. Oregon Department of Transportation and Crook County Sheriff's Office provided traffic control until a tow truck could remove the semi. Uriz was cited for failure to drive within lane.